Earlier this year, I happened to see this first scene in an Australian pine across the street. When I went to get the paper this morning, I saw two hawks perched atop that same tree. As I got closer, one flew away, but the other stayed there for quite some time, confidently surveying all that s/he could take in. Just four photos from Thursday’s visit to J. N. “Ding” Darling Wildlife Sanctuary on Sanibel Island, Florida. So it’s a little late … but this is what greeted us at the top of a large tree as we went for our morning walk! 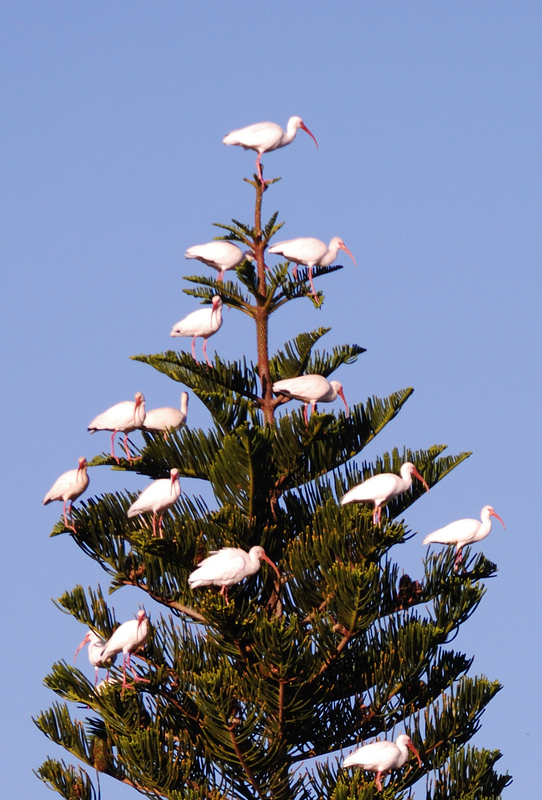 Some white ibis look like Christmas decorations in the top of a very tall tree. 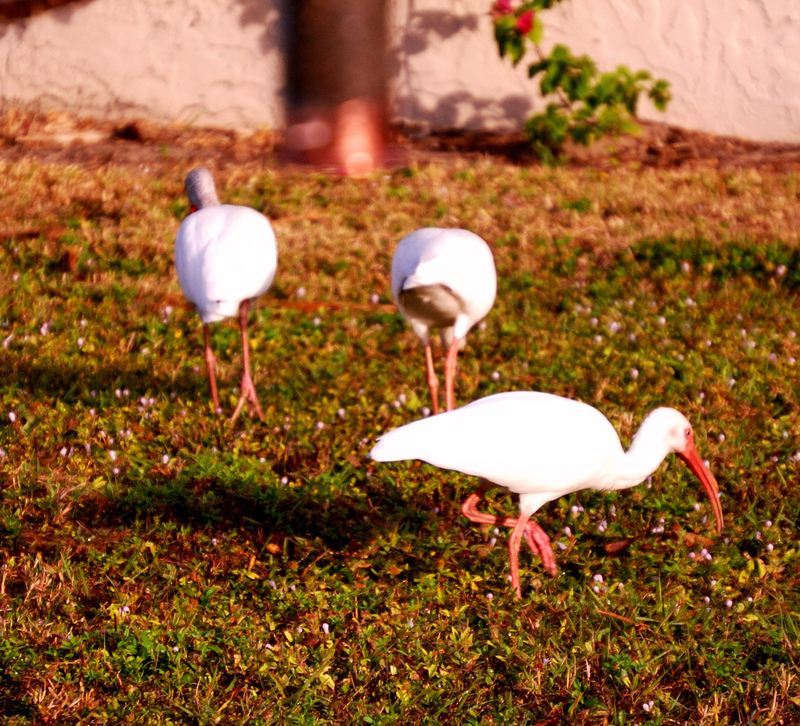 A group of white ibis enjoy breakfast in the backyard.